Wealth Management? What does that term really mean anyway? It's certainly about more than merely moving your money around, right? The truth is, it's about your life, your family, your future and your legacy. Managing your wealth should be about more than confusing terms, complex formulas and convoluted theories. It's for this reason we've developed our simple, yet powerful Wellspring W4 Wealth Management Process. WHAT- What's your current situation look like? Are there any cognitive biases that need to be unearthed before moving forward? WHERE- Where do want to go? Are you looking to maximize your net worth? Do want to prepare for a comfortable retirement? Where are you now? WHEN - When will you begin your next life journey? Is retirement looming around the corner? Is a major business transition ahead? Where are we heading on this journey? WHY- Your WHY is the most important part of your financial strategy - it's what motivates you. Why do your financial goals matter to you? For your retirement? For your family? For your legacy? 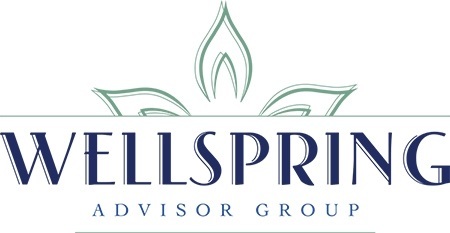 Reach out today and discover how the Wellspring W4 Wealth Management Process can work for you.